Size: 7 1/4 x 4 1/4 in. 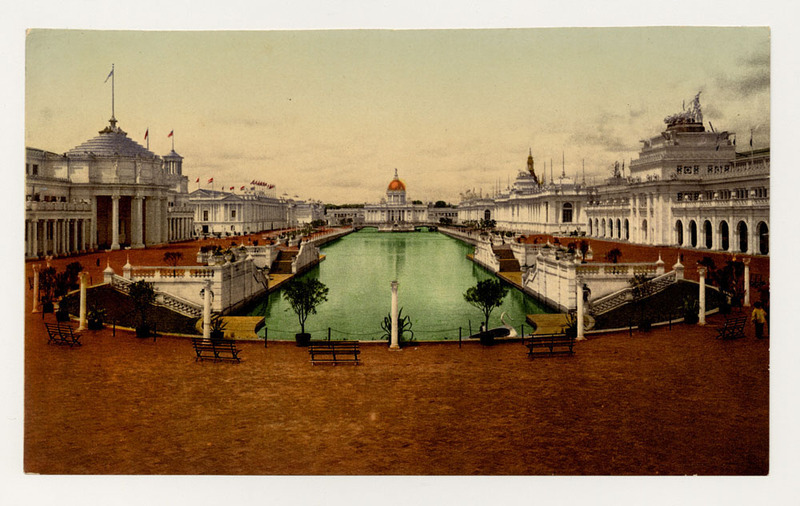 Colorized photograph of Grand Court and lagoon, looking west. Mines and Mining, Liberal Arts, and Fine Arts Buildings to the southwest; U.S. Government Building and balustrated island to the west; Agriculture, Manufactures, and Machingery and Electricity Buildings to the northeast. Swan gondola in lagoon. Office of Research and Economic Development at the University of Nebraska–Lincoln. Thanks to Omaha Public Library and Jeffrey Spencer for use of collections.